ST. LOUIS – After nearly a year of organizing, fundraising and coalition building, the St. Louis Workers’ Education Society, a 501(c)3 non-profit organization committed to initiating and facilitating community-labor coalition building and pro-union education curricula, recently purchased its new headquarters – a historic, beautiful, 10,000 square-foot union hall located in south St. Louis City. 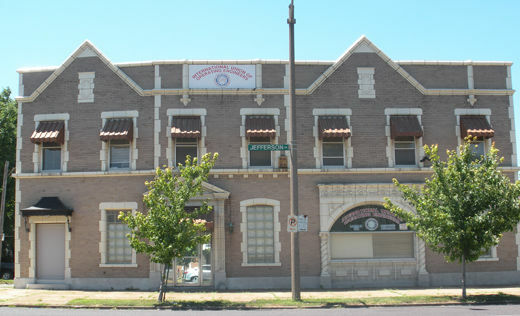 The property – located at 2929 S. Jefferson Ave. – was built in 1913 and was formerly the home of the International Union of Operating Engineers’ (IUOE) Local 148. Before that, it was owned by the Stove Mounters International Union of North America. The Workers’ Education Society is part of the emerging National Worker Center Movement, and actively participates in local labor-led coalition efforts to form a workers’ center here in St. Louis, along with the Service Employees’ International Union (SEIU), St. Louis Jobs with Justice (JWJ), the St. Louis chapter of the Coalition of Black Trade Unionists (CBTU), and the Missouri Immigrant and Refugee Advocates (MIRA) coalition, among others. Specifically, we partner with local unions to offer on-site apprenticeship application assistance and classes on understanding a union contract, shop stewards trainings and a brief history of the St. Louis labor movement. Our apprenticeship application assistance program and labor education curriculum focuses on building union membership among women, Latinos and African Americans – a large and growing part of the workforce unfortunately often denied the benefits of union membership. Additionally, we initiate voter registration and constituent meeting facilitation. The St. Louis Workers’ Education Society building currently houses national organizations like Labor Campaign for Single Payer Health Care, and the Speak Progress speakers’ bureau, regional organizations like the Missouri/Kansas bureau of the People’s World and local, grassroots organizations like Latinos En Axión STL, a immigrant rights organization – each organization building the movements for social and economic justice in its own way. Probably most remarkably, the purchase of the 10,000 square-foot community center was made possible by local and national supporters – working men and women, union and non-union, skilled and unskilled, professional and academic – who dug deep and gave generously to make this project a reality. Additionally, we received financial support from local unions, faith leaders and elected officials. Holly Roe, a social worker and member of the Missouri State Workers’ Union (CWA-MSWU) Local 6355, is one of the volunteers Giljum spoke about. She has spent numerous hours cleaning, painting and working with a larger volunteer collective to help shape and guide the overall direction of the Society’s rehab. Leticia Seitz, the executive director of Latinos En Axión STL, couldn’t agree with Roe more. Latinos En Axión STL is the most recent organization to become part of the Workers’ Education Society family. Latinos En Axión STL not only organize out-reach to the Spanish speaking community, they also facilitate regular continuing education classes for Spanish speakers, English as a second language classes, workshops on domestic violence and out-reach to youth separated from their families due to immigration policy. Rebecca Bolte, a local small business owner, sees the Workers’ Education Society building as an essential bridge bringing together community and labor. Ultimately, the St. Louis Workers’ Education Society sees itself as a central hub of activity, bringing together trade unions, community organizations, churches, student and small businesses – all with one goal, to make our community better! 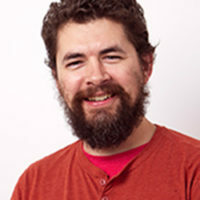 If you would like to learn more about the St. Louis Workers’ Education Society please contact Tony Pecinovsky (tony@workerseducationsociety.org or 314-240-5477). If you would like to make a donation to support our on-going work, please send checks payable to: Workers’ Education Society, 2929 S. Jefferson Ave., St. Louis MO 63118.